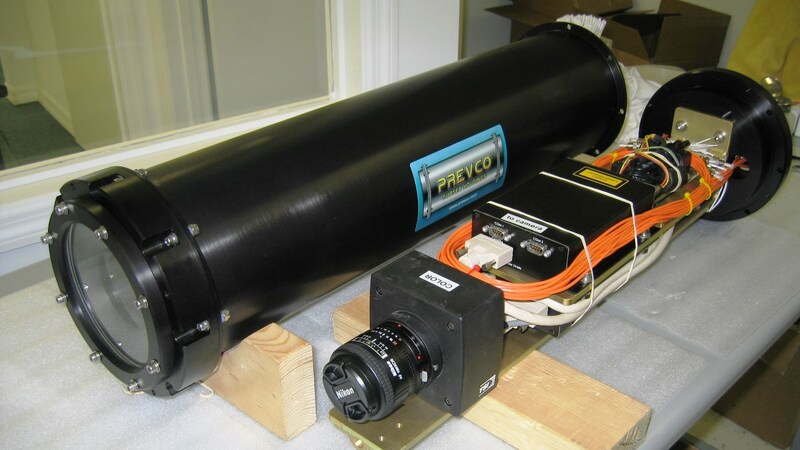 PREVCO is proud to provide a broad array of Subsea Housing designs, Accessories, Engineering and Pressure Testing Services. 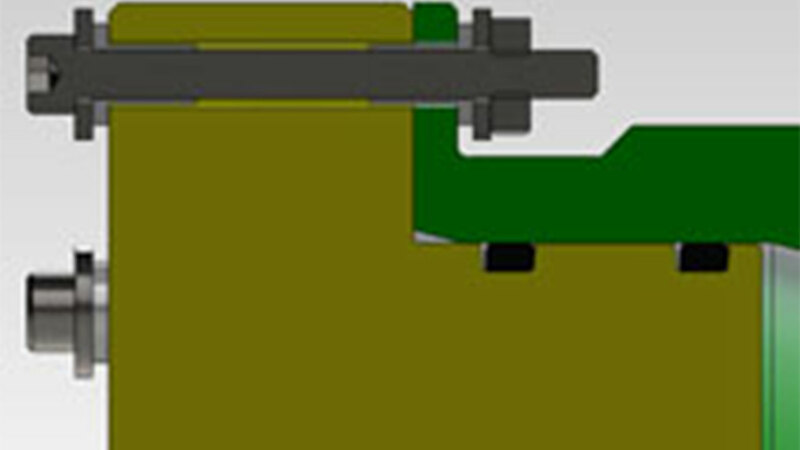 All of our standard Off-The-Shelf designs have been developed using our unique automated design software applying proven design safety based on years of design, testing and field experience. 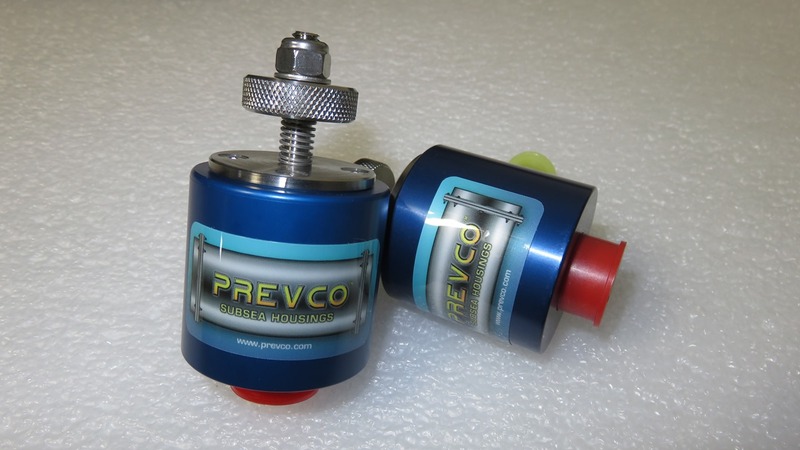 The Diver operated switch is a new product for Prevco and has been developed due to high demand in the market place. The device can control a number of functions due to the multi-deck internal rotary switch, which in the current model has up to 4 switch positions. The switch is available in hand-held or bulkhead mounted style. 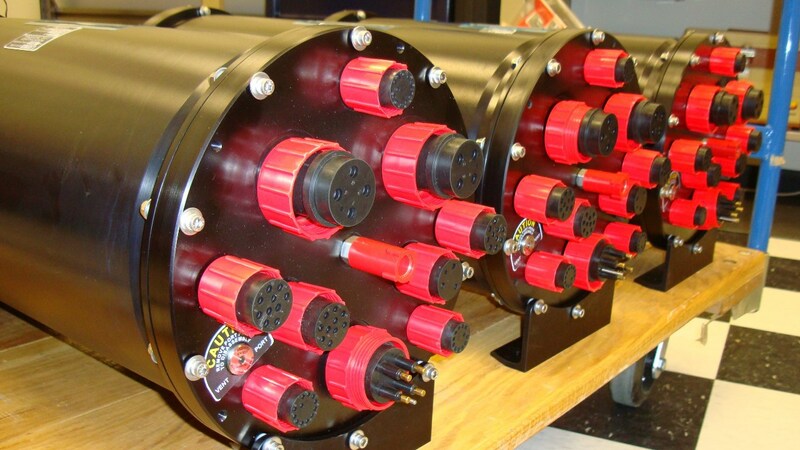 Many Subsea Housing applications require a Pressure Relief Valve to relieve internal pressure due to effects such as change in temperature, seal failure or off-gassing of internal components such as batteries. 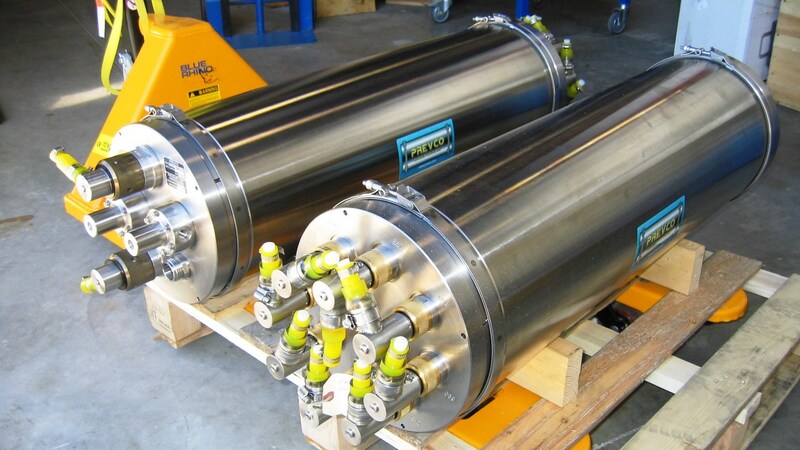 We offer deep water pressure relief valves to 6000m and low pressure relief valves to 100m. 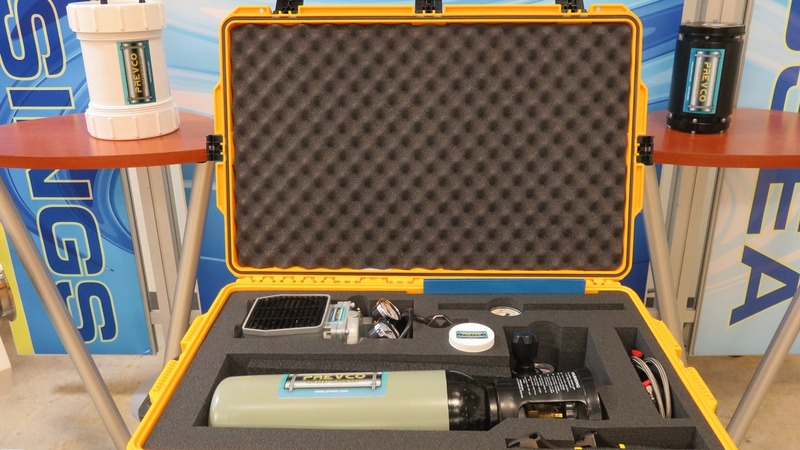 The ROV Operated Electrical Switch can operate in up to 6000m of water and has an ROV compliant handle. 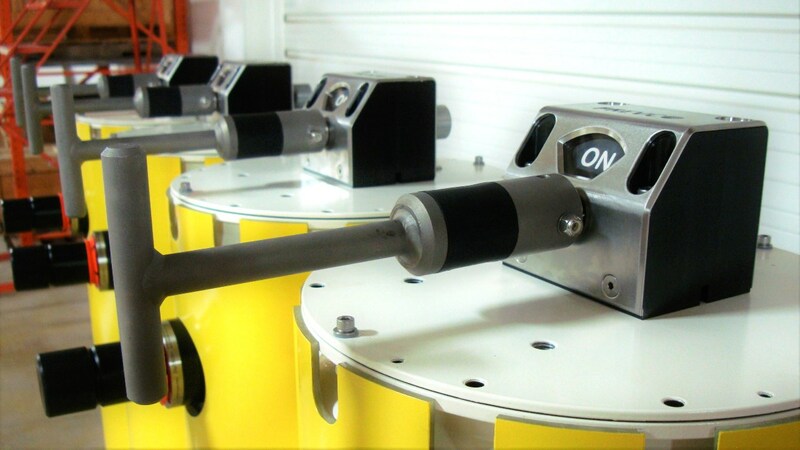 The switch can rotate continuously in both directions and turns on and off at 90 degree intervals. 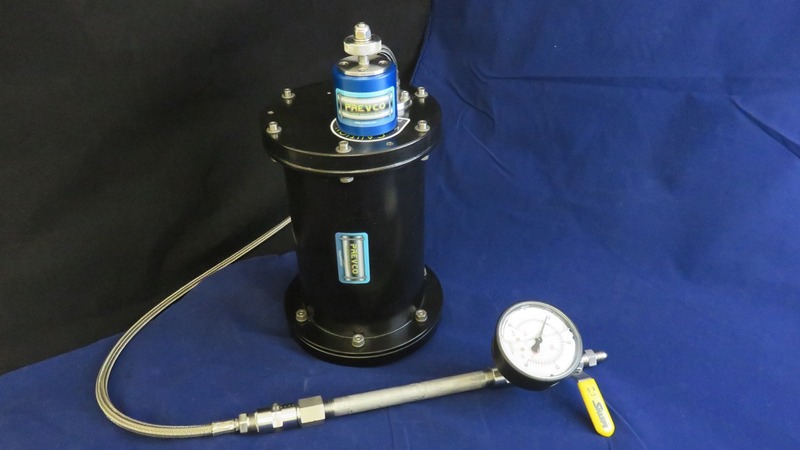 The Vacuum and Dry Nitrogen Backfill Kit includes everything you need to perform a vacuum leak test and back-fill with dry nitrogen. 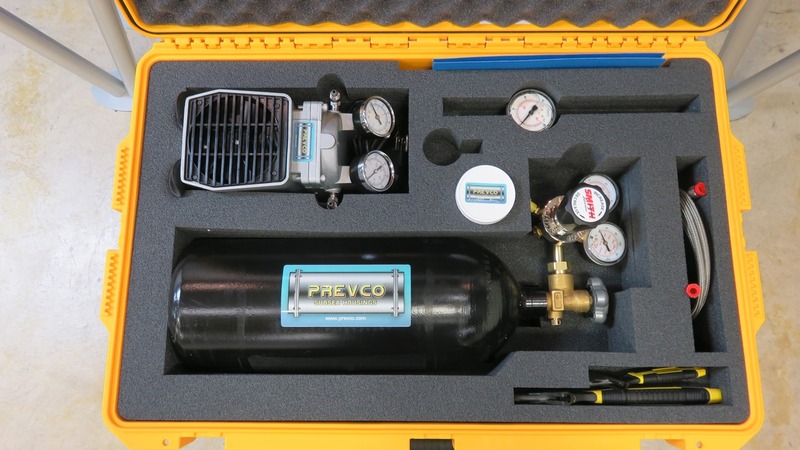 Included in the kit is the Vacuum Pump and Interface Manifold with valve and gauge that is designed to connect to a PREVCO vent plug port (standard on most of our housings) The kit is available in both Vac kit - USA version and Vac Kit - EU version . 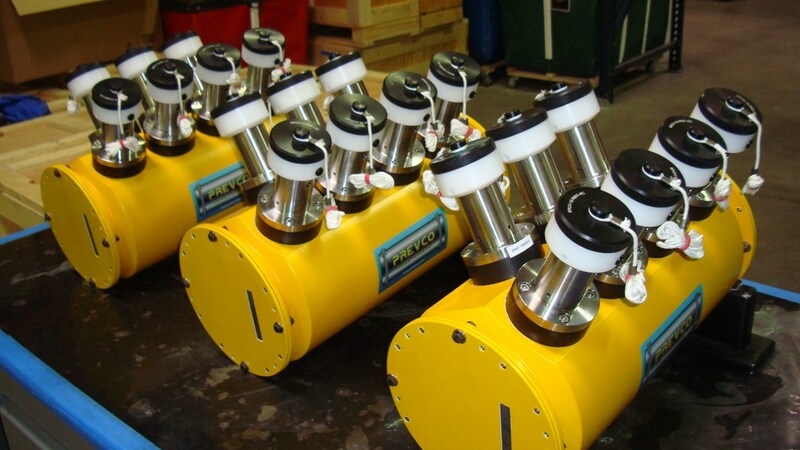 The vacuum port adaptor VPA and DUAL POPPET vacuum port adaptor Dual Poppet VPA are useful additions to our line of subsea underwater housing support equipment. It addresses an all too common problem. 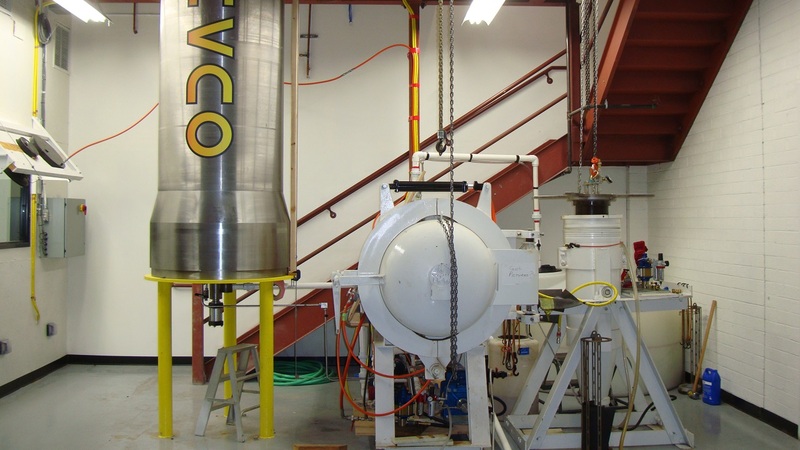 When vacuum leak testing an enclosure, there is often a loss of vacuum when replacing the vent plug and/or a loss of pressure when backfilling with Nitrogen. 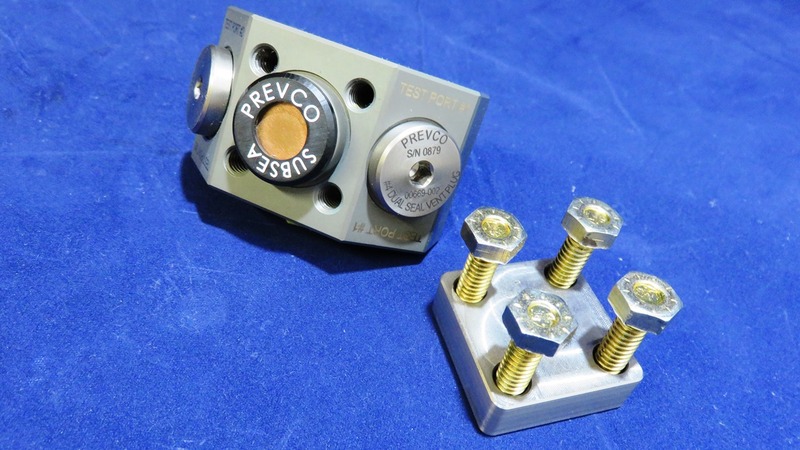 This small assembly provides a key link between our industry standard, Portable Vacuum/N2 Backfill Kit and a Prevco Dual Seal and Dual Seal DUAL POPPET Pressure Relief Valve. 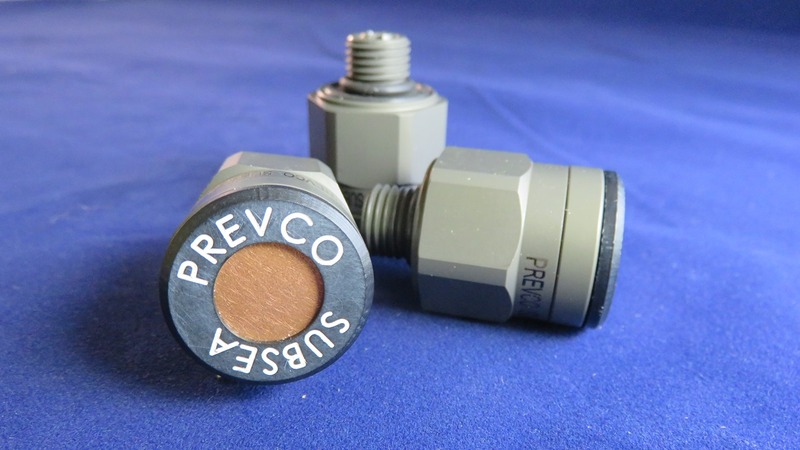 PREVCO’s #4 Dual Seal Vent Plugs is a modified SAE #4 plug, having an added face seal for increased reliability. 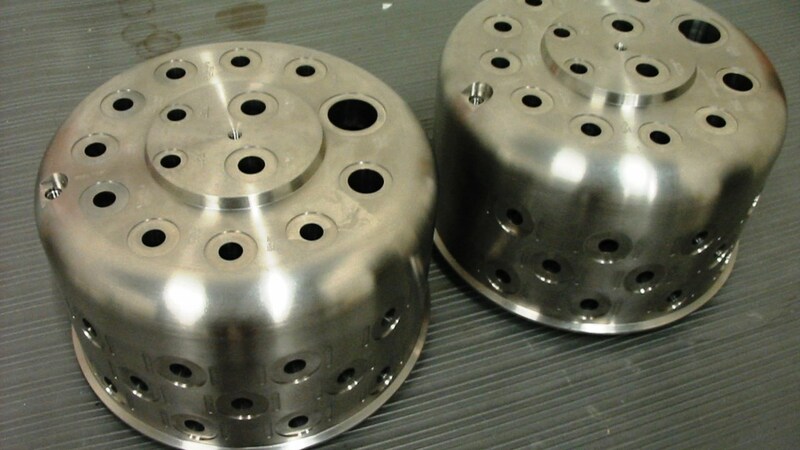 The vent port is a standard SAE #4 design with one additional restriction; the spot face sealing surface needs to have a surface finish of at least 32 micro-inches or better at the seal surface. 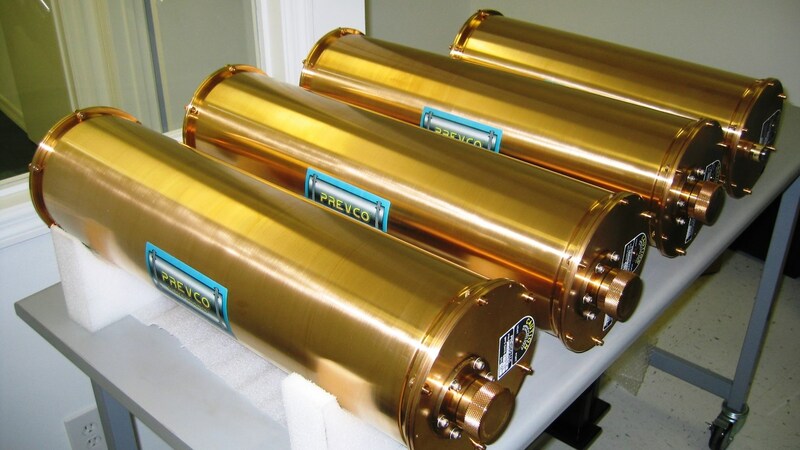 Prevco Zincoids (sacrificial anodes) can be attached to aluminum underwater housings to change the galvanic potential of the metal and to protect connectors. The Zincoid is screwed into a blind tapped hole which is protected from seawater by an O-ring at the base of the stainless steel core. 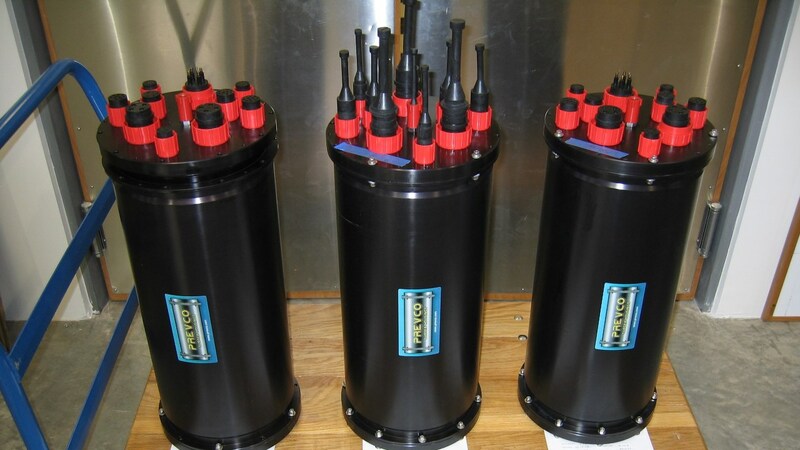 The Zincoids can be stacked to extend the galvanic protection. 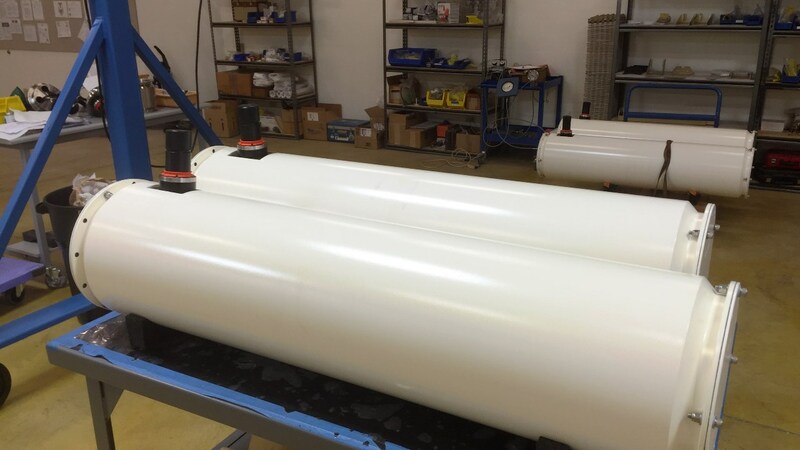 "New Tube Designs" (NTD) is a PREVCO proprietary software that takes a customers input and generates a purpose-built design ready for fabrication. 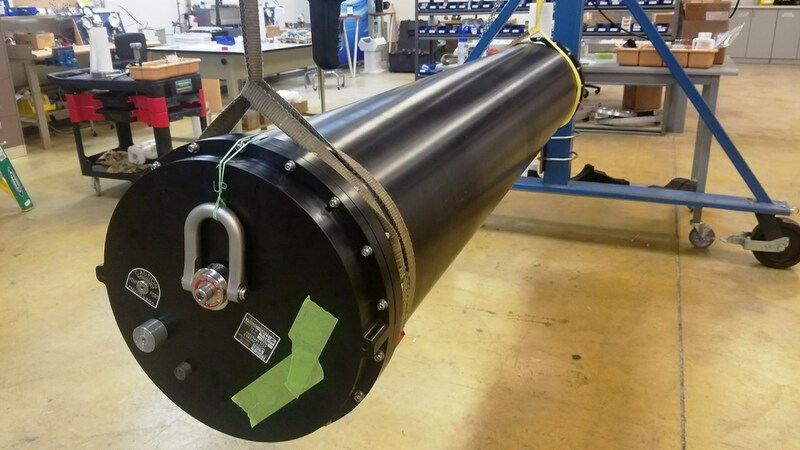 NTD develops an optimal solution by evaluating materials, payload size, connectors and other penetrations. The software also manages the product build, as well as creating a BOM (Bill of materials) and other important design documents. 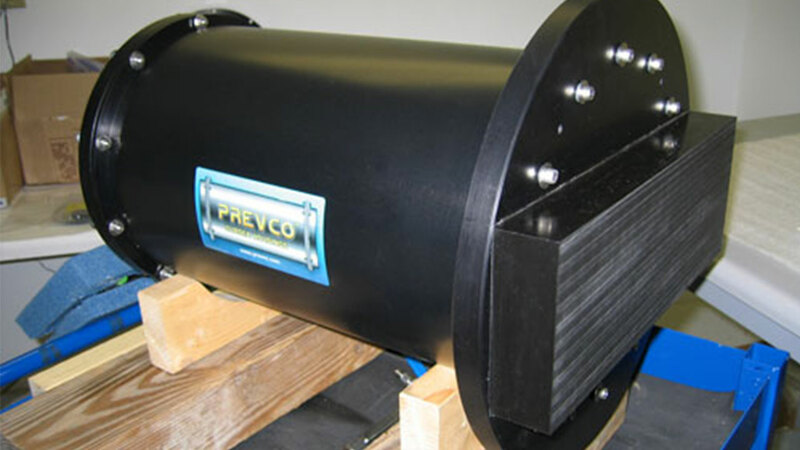 Upon customer approval, fabrication can begin and following testing your PREVCO housing will be shipped to your facility, ready to use! 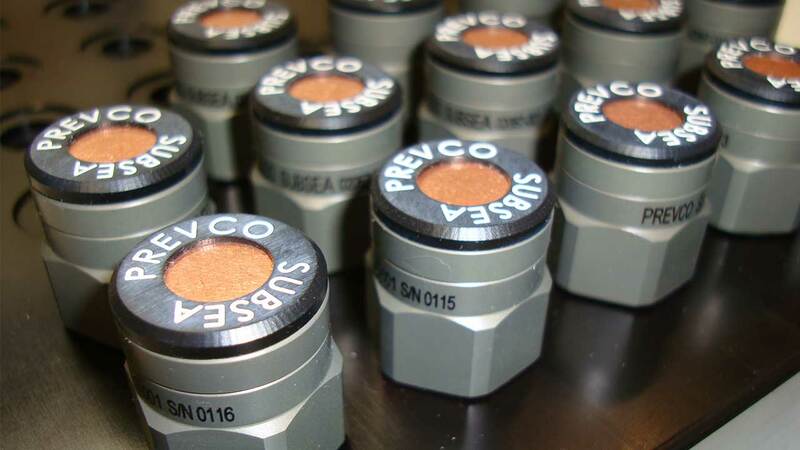 As with all of our designs, Just supply PREVCO with your requirements for Packaging Diameter, Packaging Length, Outside Dimensional Constraints, Material, Operating Depth, Number and Type of Penetrations/Connectors, Equipment Mounting Holes, etc. Sometimes it's best to just call us to discuss. We are happy to help. 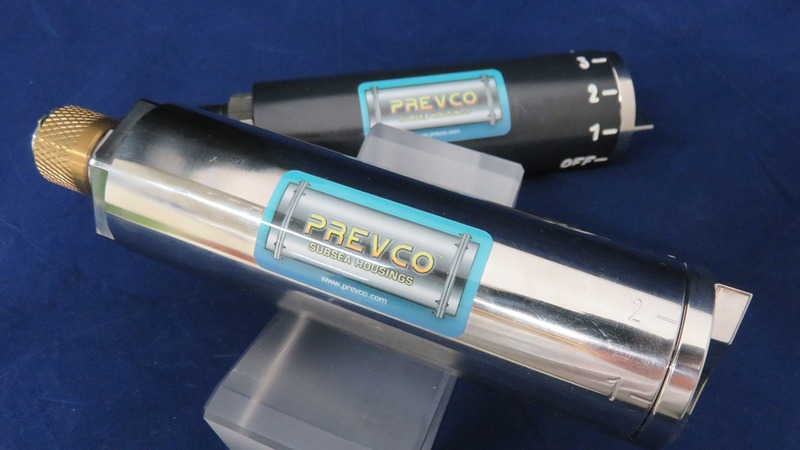 Using PREVCO's New Tube Designs software (NTD) we can quickly develop the design that meets all your needs. 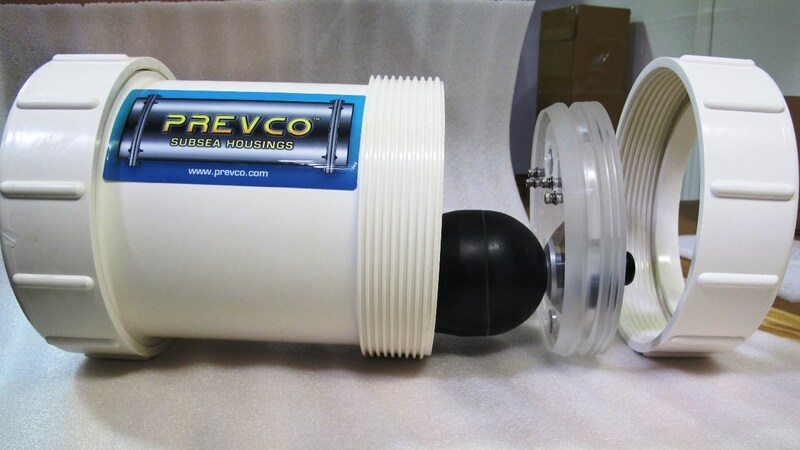 PREVCO can make custom underwater housings almost as fast as our standard stock versions. We are experts at solving your exact needs! 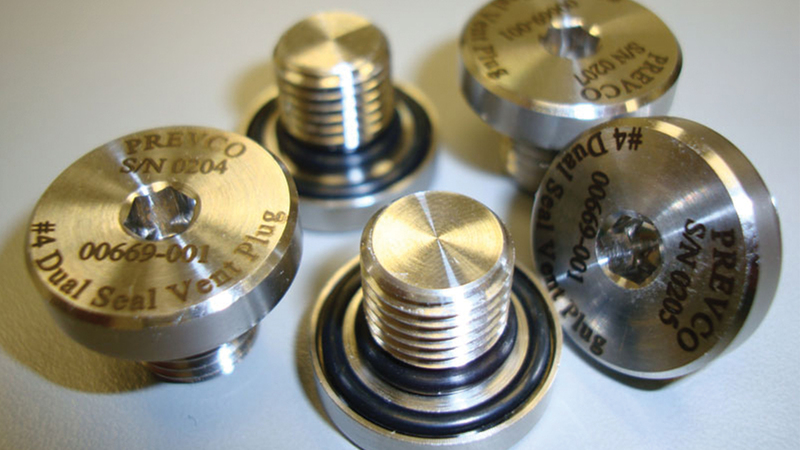 There are a variety of endcap closure methods available to choose from including, through-bolted, threaded tube and threaded endcap, radially tapped, stress-rod and others. 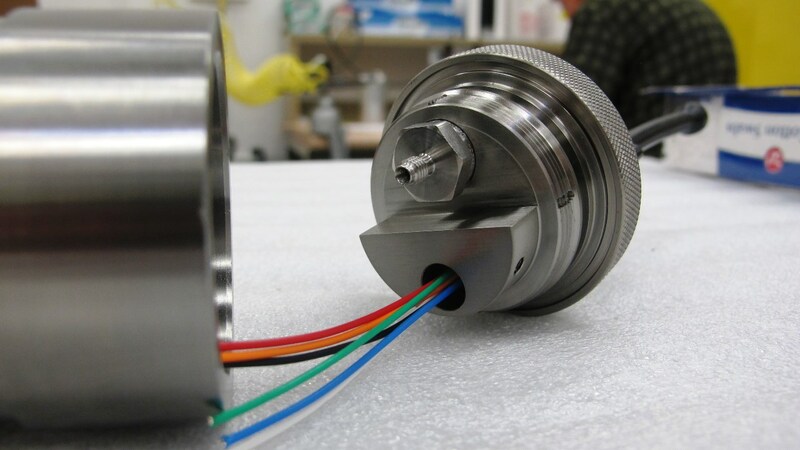 It's important to choose the right closure method and to consider the sealing and dimensional requirements, assembly and disassembly conditions, weight, and of course cost. 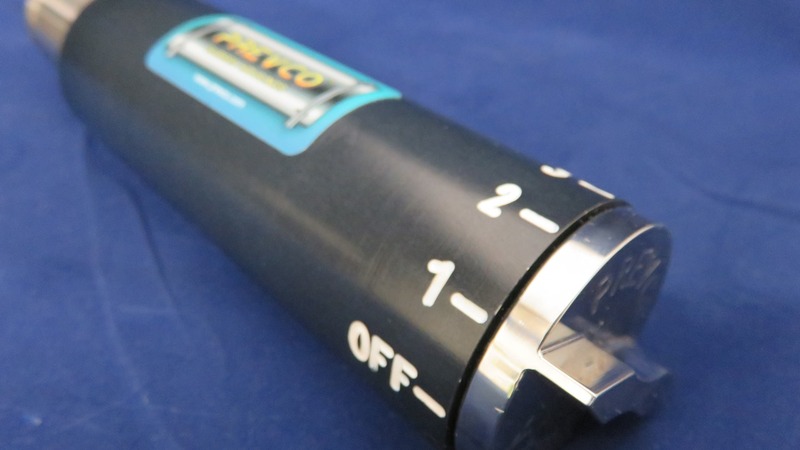 Through-Bolted is our most popular endcap closure method however other drivers may lead to an alternative solution , as an example the stress-rod closure method provides a protective cage around the enclosure that equipment can be mounted to. Choosing the right endcap design is very important both for reasons of functionality and cost and there are many considerations that need to be made. 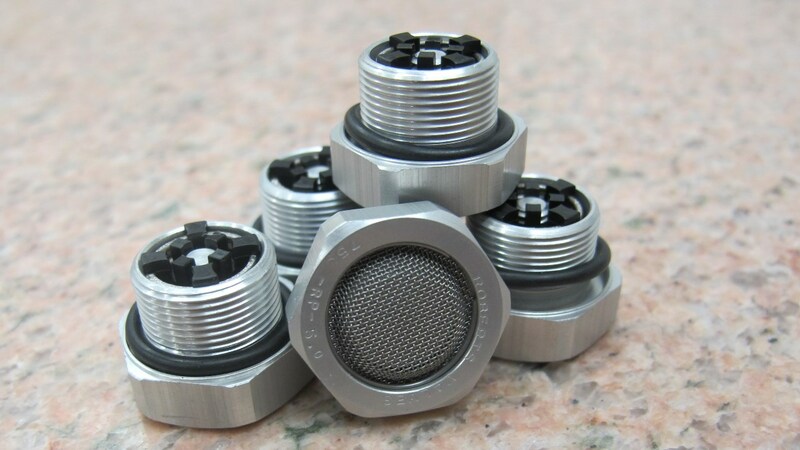 A simple flat endcap is the most common, and it provides a solid flat base for a variety of interfaces; however, this configuration is not very good against pressure and therefore has to be thicker (and heavier) than other designs. The endcap closure method should also be considered for its cost, envelope, ease of assembly, replacement of fasteners, and other operational requirements.. 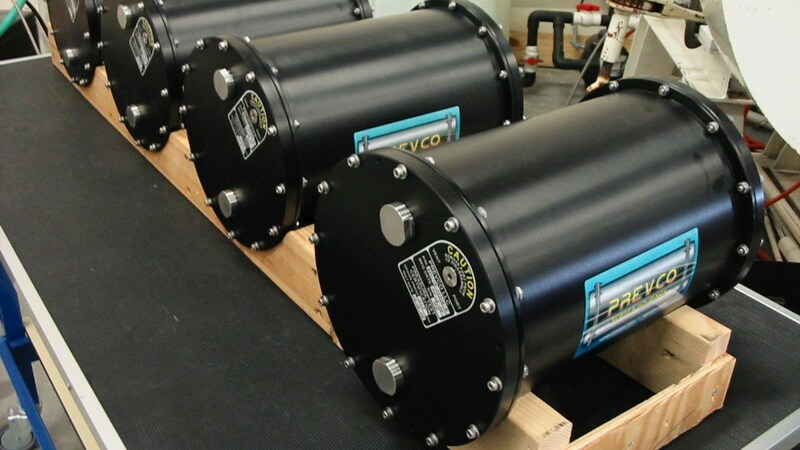 Using a PBOF system can be a cost effective method for enclosures where a traditional underwater housing won’t fit or can’t be integrated for your specific application. 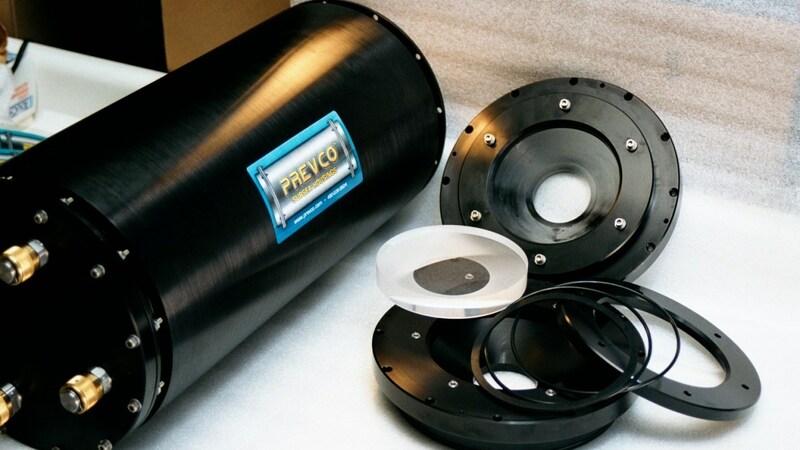 The PREVCO design team can design a PBOF enclosure that works with your system. 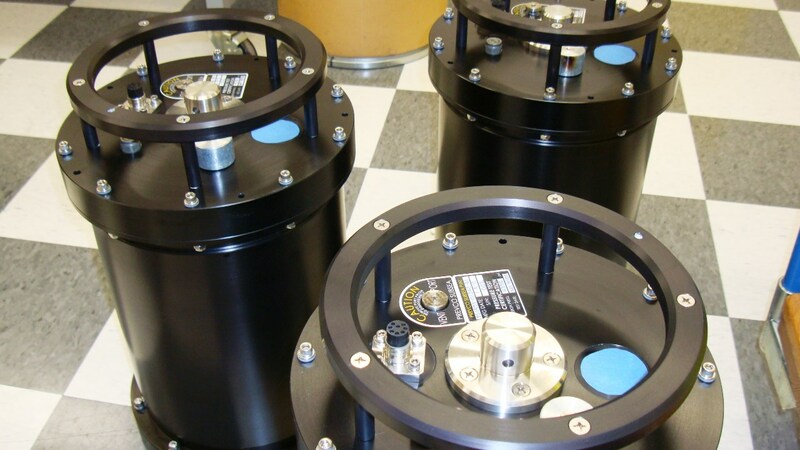 There are a variety of configurations available ranging from piston and/or face seals, corner seals, custom seals to an appropriate combination of the seal types. 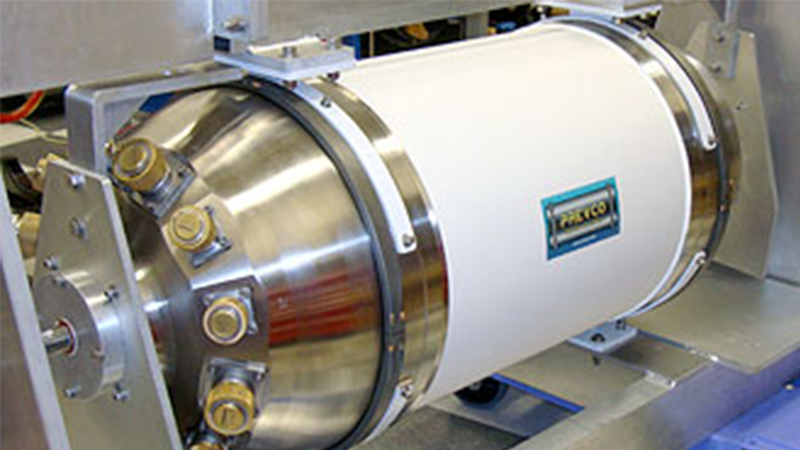 PREVCO will assist in evaluating the application and guide the design to a highly reliable solution. 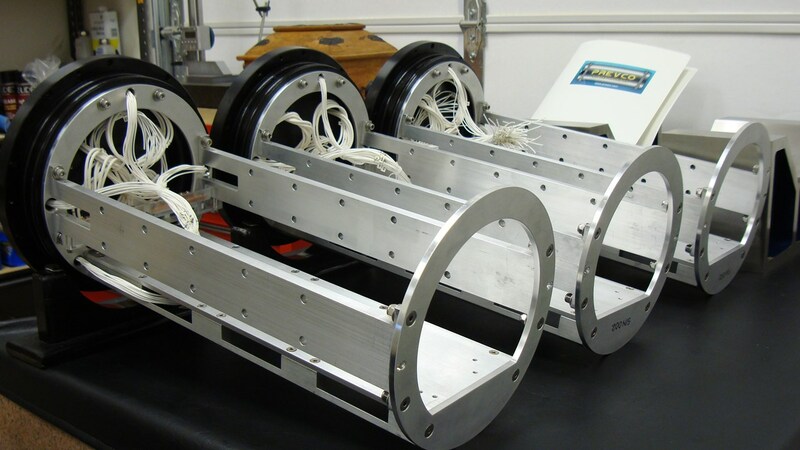 Aluminum is a lightweight, short-term deployment material that is fairly low cost and is adequate for many subsea housing applications where the material can be maintained. We recommend servicing/inspection on a 3-6 month basis to check for damage and to replace Zinc Anodes as necessary. 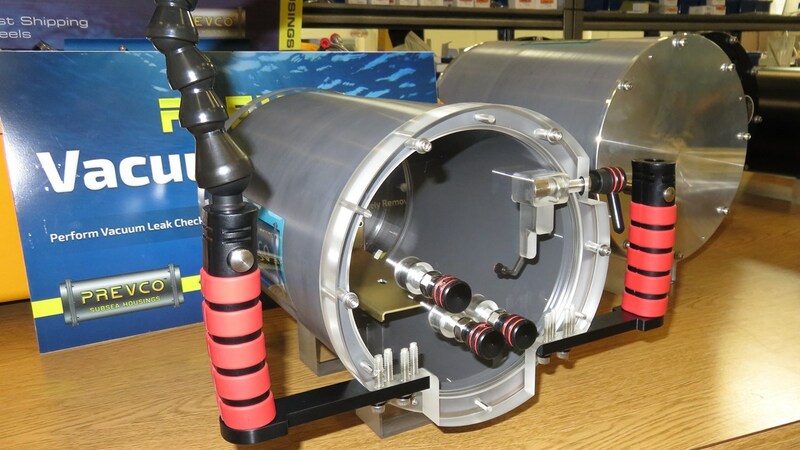 There has been a lot of talk over the years about whether it is practical to use Ceramic for underwater housing/enclosures and for a number of reasons it has not been used on a wide scale basis. 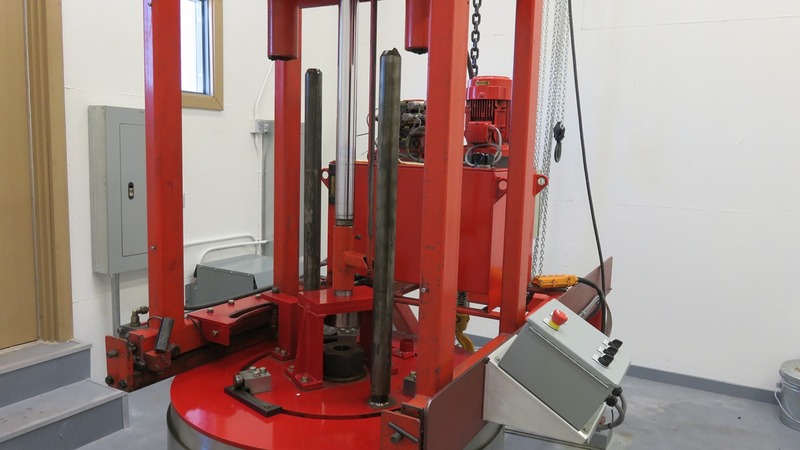 Concerns are usually raised about the suitability of the material given its crystalline (hard) composition, its weakness in shearing and tension, its susceptibility to shock-loads and its lack of impact resistance in the rugged environment of the offshore industry. 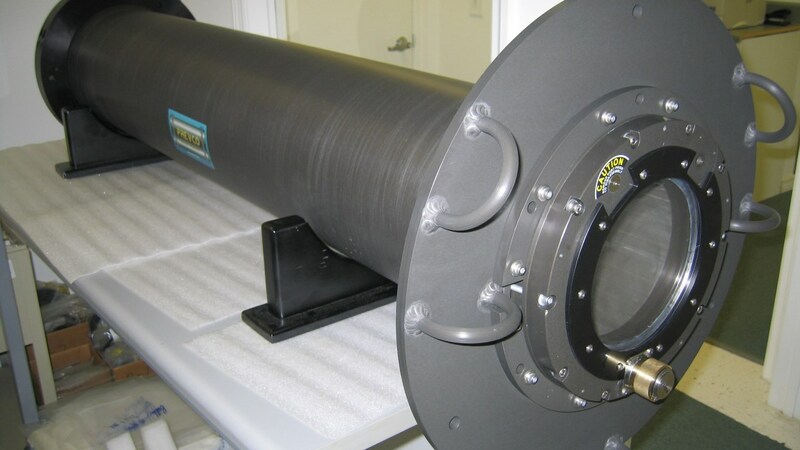 However, for the right application, this material can significantly reduce in-water weight and 'can' save cost over other exotic materials. 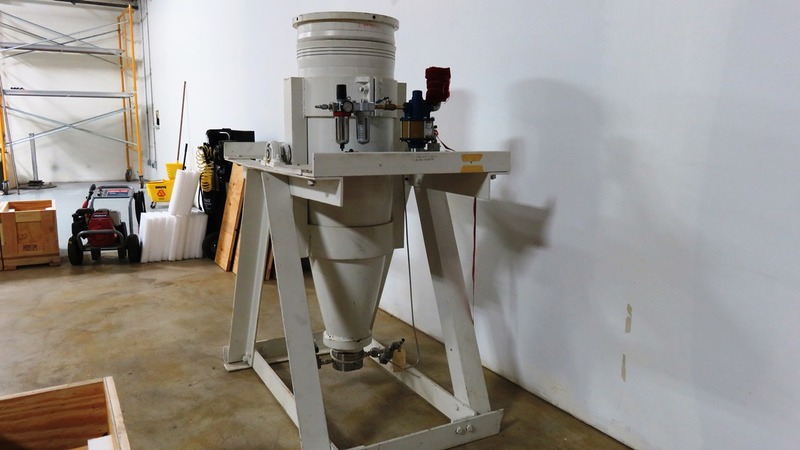 This is an excellent long-life material and is an ideal choice when deployed for extended periods in turbid conditions and when weight is not an issue. 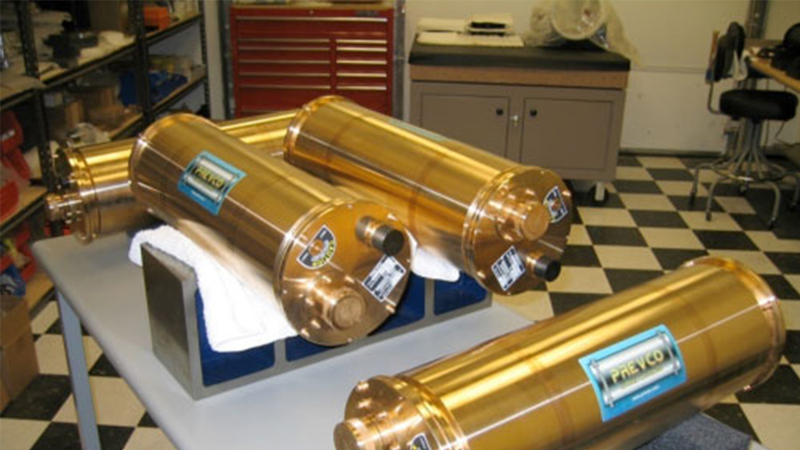 Besides having a high degree of corrosion resistance, this material has 'some' natural anti-fouling properties and Copper Beryllium housings have been known to be deployed for 40yrs plus without failure. 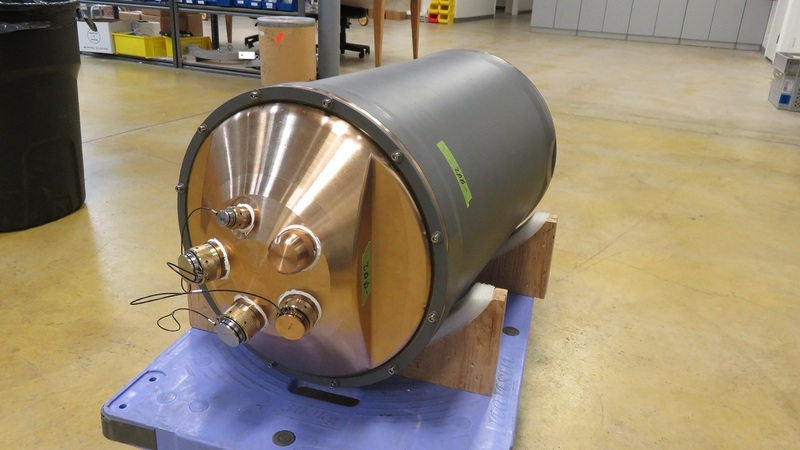 It is also thermally and electrically conductive and can sometimes be used with other materials like Titanium or PVC where the endcaps might be made from Copper Beryllium to help get the heat out. Our hybrid housings are based around having a PVC tube for the body and a choice of endcaps, depending on the customers requirements. 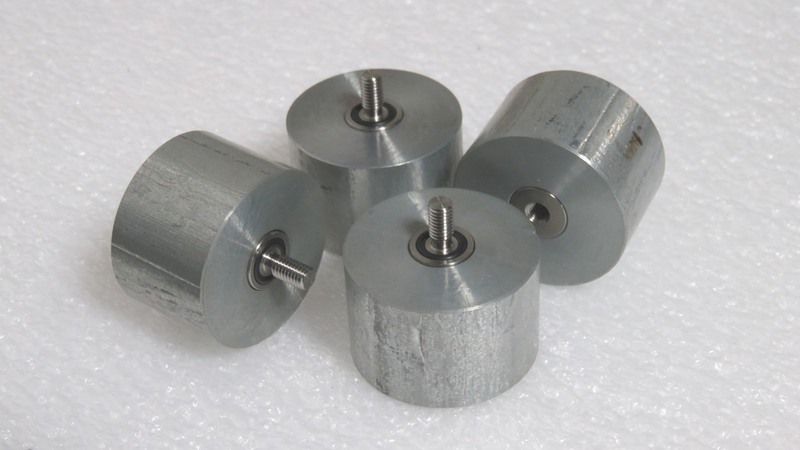 For heat dissipation, anodized Aluminium endcaps are often used or even Copper Beryllium as in the photos below. Clear Acrylic can be used for camera and laser housings or to provide a window for reading a display. 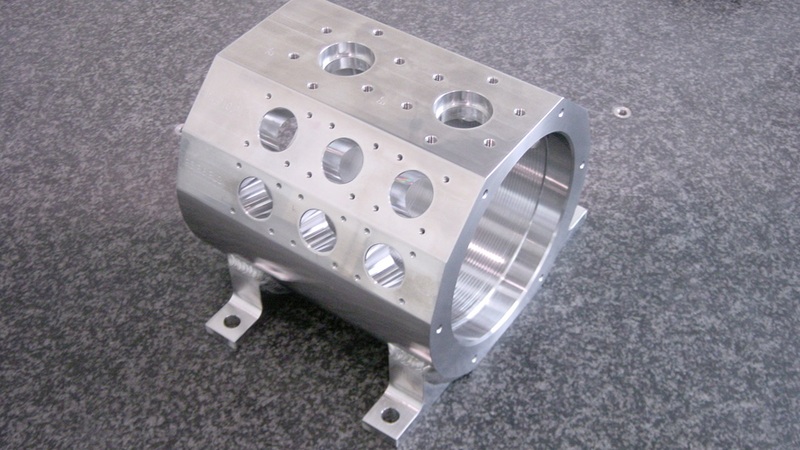 We offer a range of hybrid enclosures and can design custom housings for specific applications. 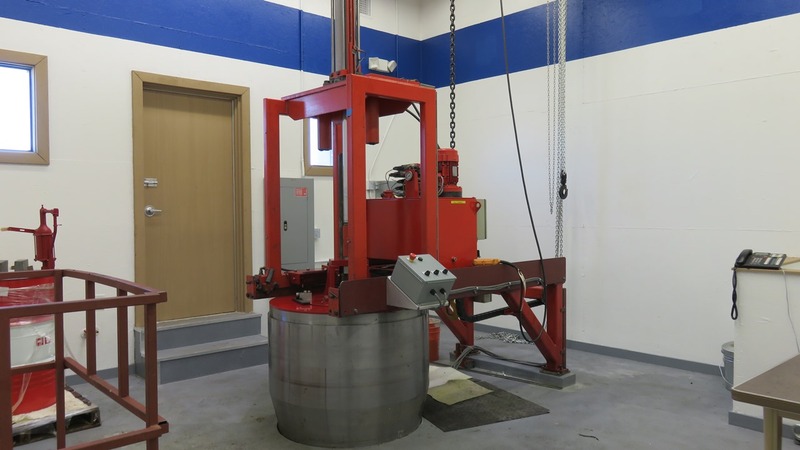 Plastic is mostly used for housings with shallow water applications (up to 100m) and is often a good alternative to heavier and more expensive materials. 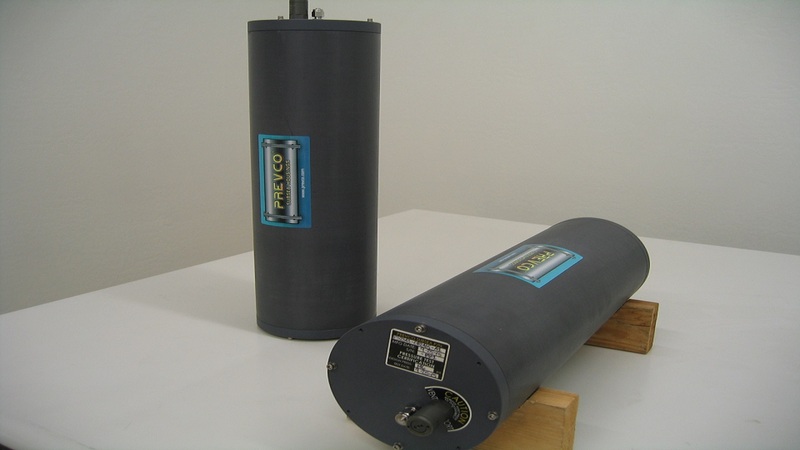 It's non-corrosive, non-magnetic and dielectric and can be used in combination with other materials where the tube may be plastic and the endcaps Acrylic, Aluminum or other materials that may add strength or thermal conductivity. A corrosion resistant material with fair strength but lacking durability in the marine environment. Acceptable for short to medium term deployment and needs to be managed/serviced regularly to avoid issues with crevice corrosion. 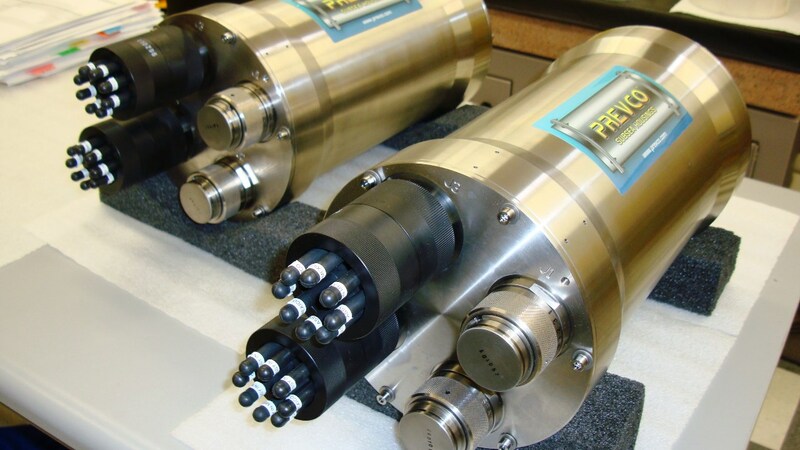 Highest strength-to-weight metal and high in the Galvanic Series. 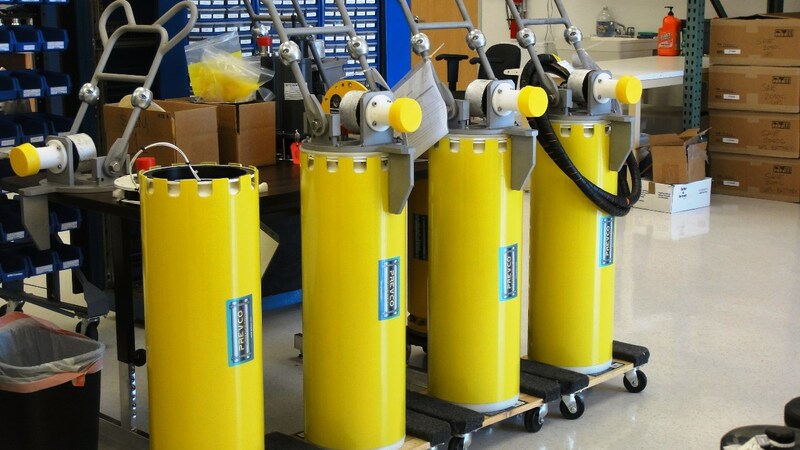 Ideal for deep-water subsea housing applications where weight may be an issue and the corrosive effect of long-term deployment. 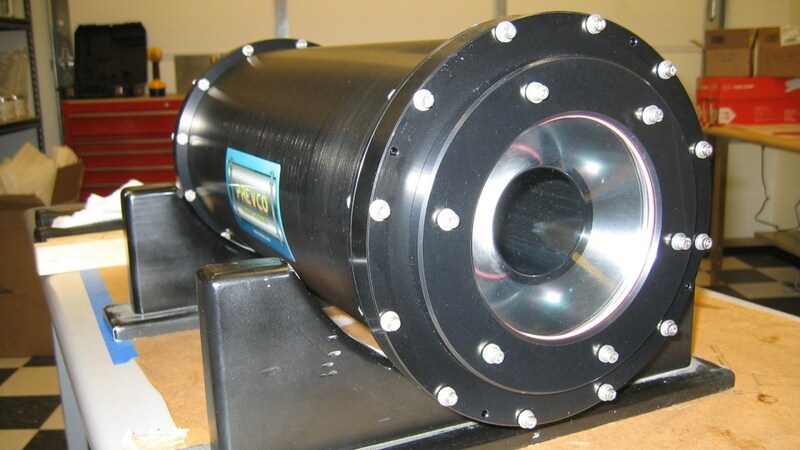 Parts machined from this material are often 'Tiodized' for subsea use which is a dielectric coating that helps to protect the part, prevents galling and reduces the chance of reactions between dissimilar metals. 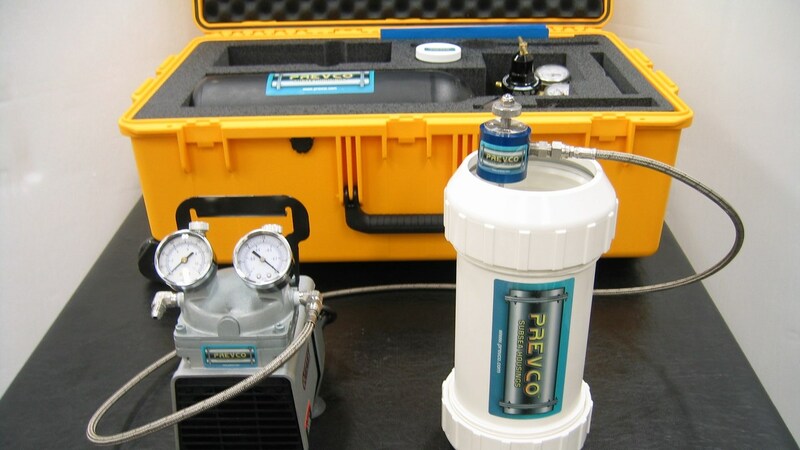 PREVCO USA currently has three pressure testing chambers where we conduct our own in-house testing and contracted pressure testing for outside clients. 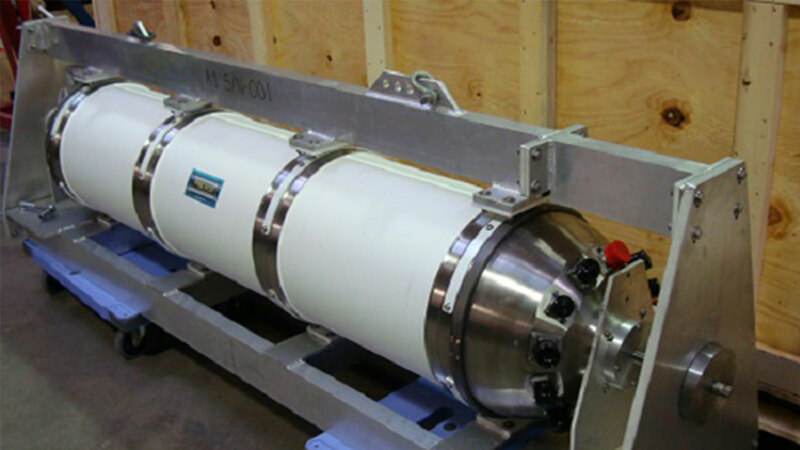 Our capability extends to full ocean depth and beyond. Contact the office for more information. 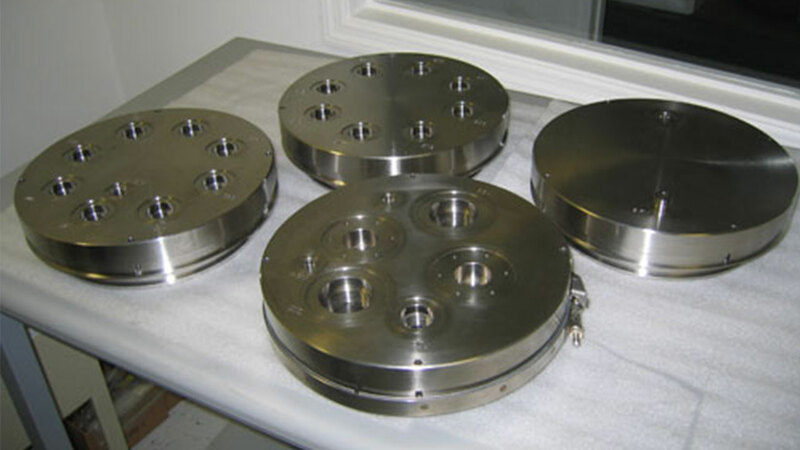 We offer a range of off-the-shelf Aluminum Housings as well as custom designs. 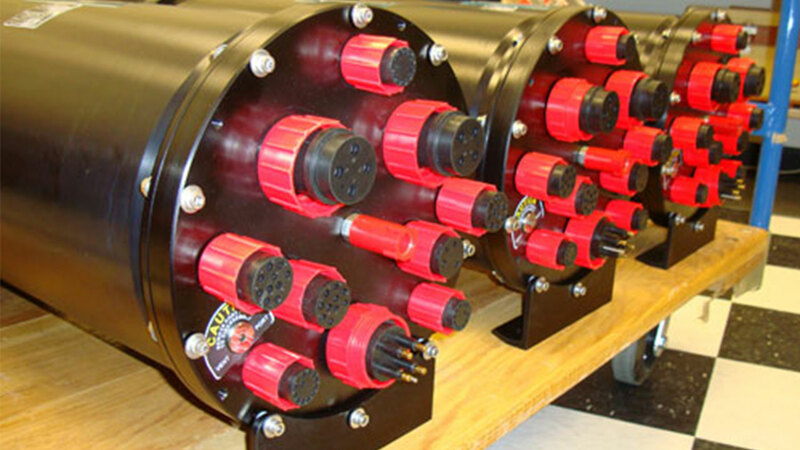 The housings are generally hard-coat anodized and we recommend maximum deployment times of 3-6 months continuous between servicing/inspection. Zinc anodes (Zincoids) can be added for greater cathodic protection. 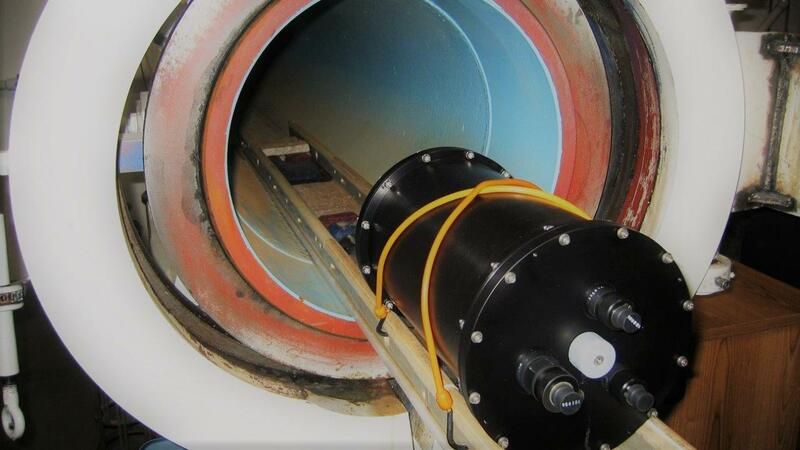 Plastic housings can be relatively inexpensive and are good for shallow water (up to 100m) deployments. 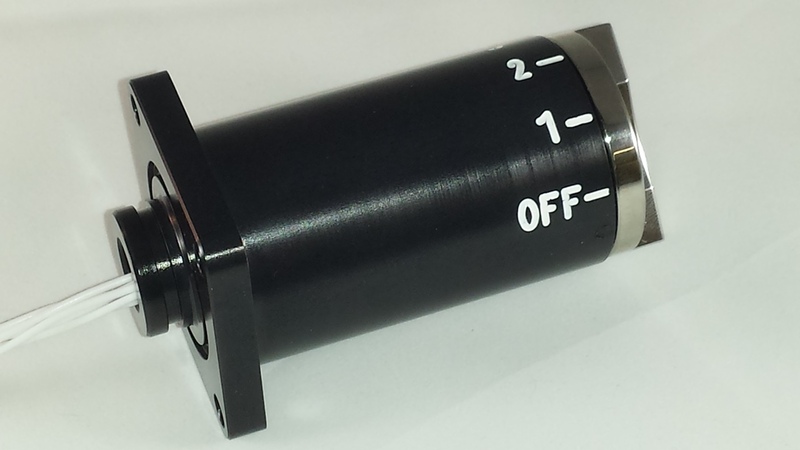 We offer 'some' stock off the shelf enclosures and we can custom design for specific applications. 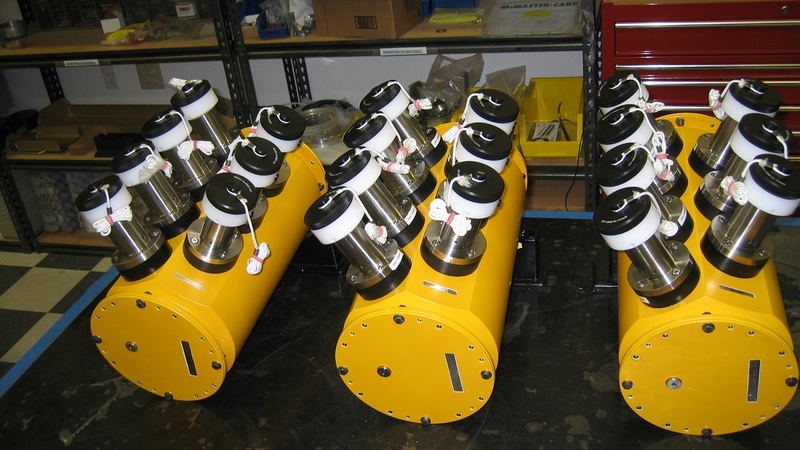 We offer a complete service for all your subsea housing needs; from design and fabrication, to assembly and testing. 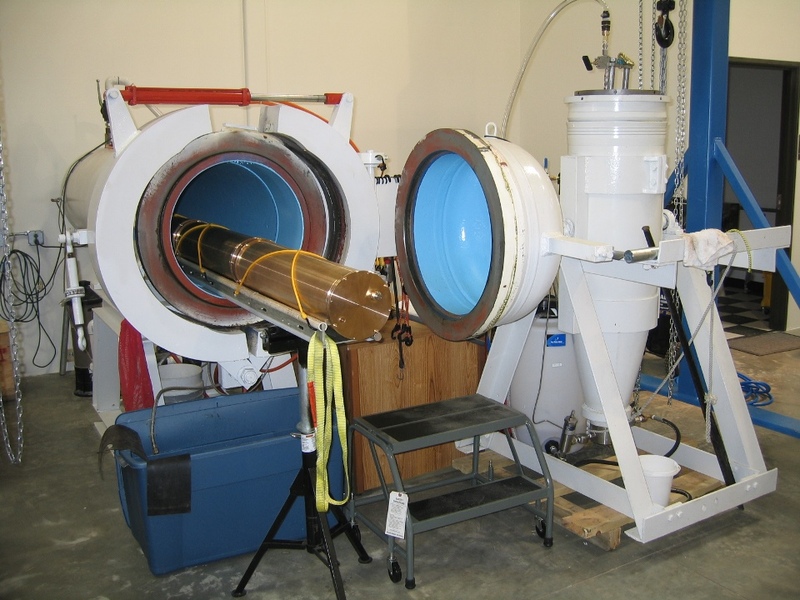 Services include; Ocean Engineering, Analysis and Pressure testing. You are encouraged to discuss your needs with us. 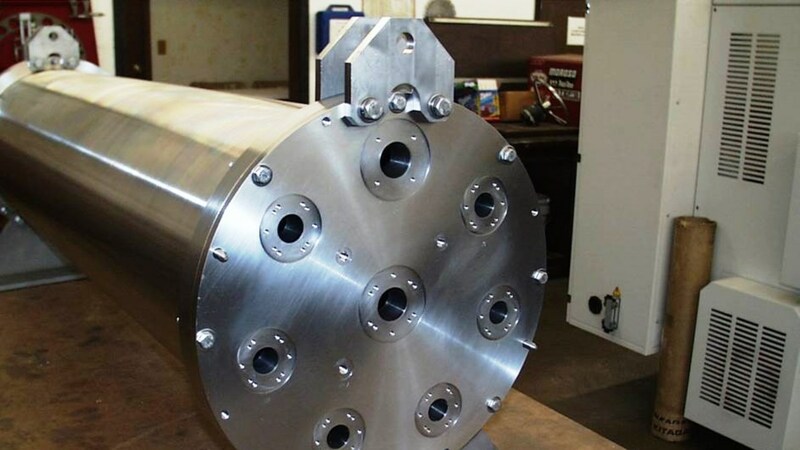 Our experienced engineering staff can offer assistance for most Marine and Ocean Engeineering problems.